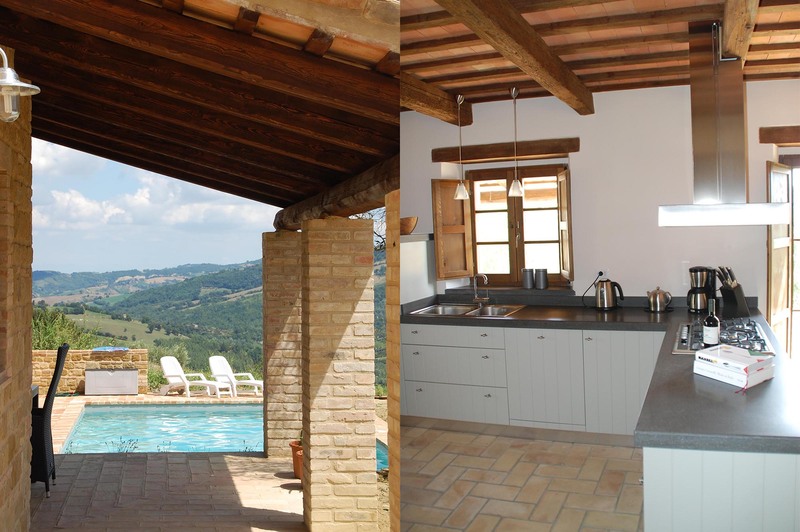 We love Casa Filo – a modern and luxuriously appointed holiday home with 3 bedrooms, 2 bathrooms, a large veranda and swimming pool. Not to mention quite lovely views towards the Sibillini Mountains. 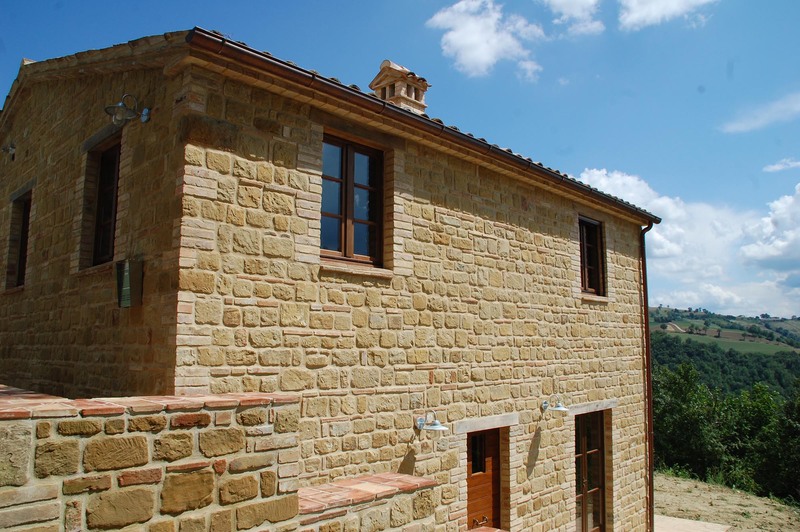 Casa Filo was completely renovated by us for a Dutch couple in 2011 using authentic materials. The decor is modern, atmospheric and functional. Internally, Casa Filo consists of a spacious lounge and fully equipped kitchen with an American fridge boasting an ice-cream maker (and why not? Think of the endless sunshine! ), dishwasher and combi microwave oven. There’s a lovely fireplace, satellite TV, wireless internet and an i-pod docking station. 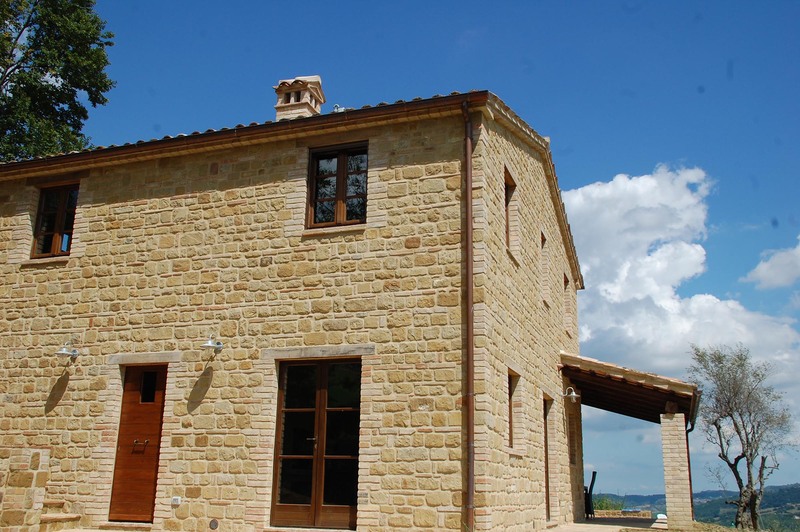 The holiday home has 3 spacious bedrooms, the master bedroom en-suite with shower, sink, toilet and bidet. The other two bedrooms together share a large family bathroom with bath, shower, sink, toilet and bidet. The house has a beautiful porch with tables, chairs and a barbecue. 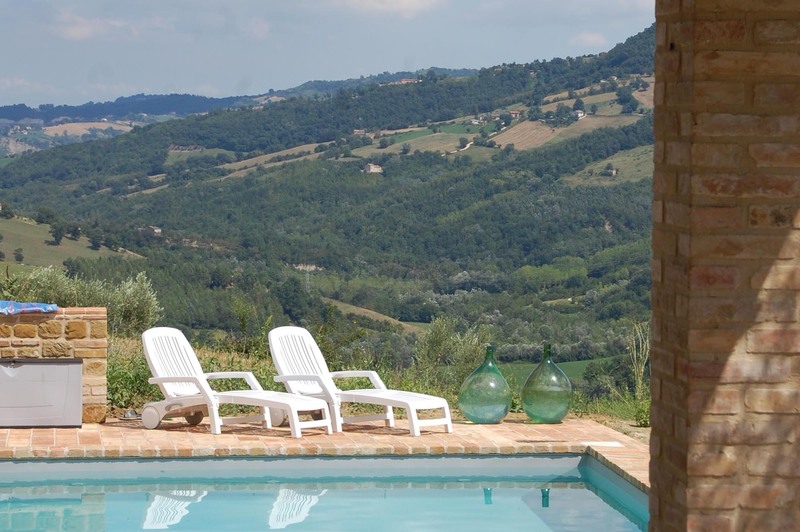 Around the pool (5×10 meters) is a spacious terrace with sunbeds with beautiful views of the Sibillini mountains and the hills of Le Marche. 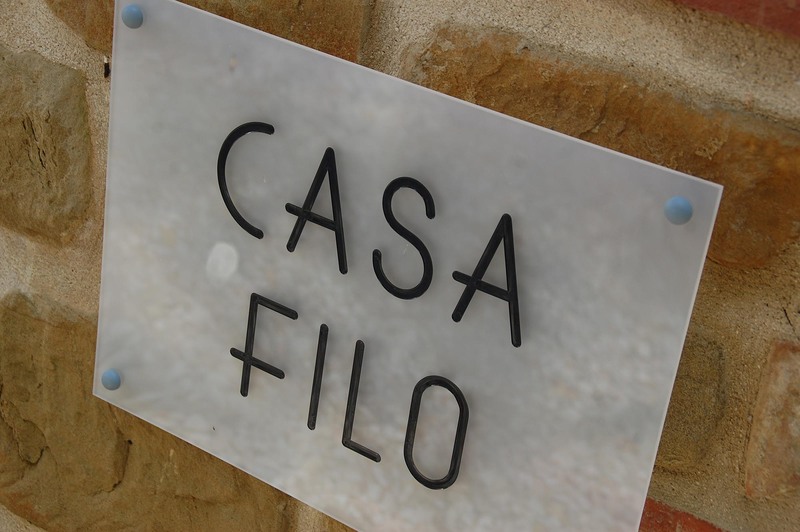 Casa Filo is 45 minutes from the sea and 30 minutes from the mountains. 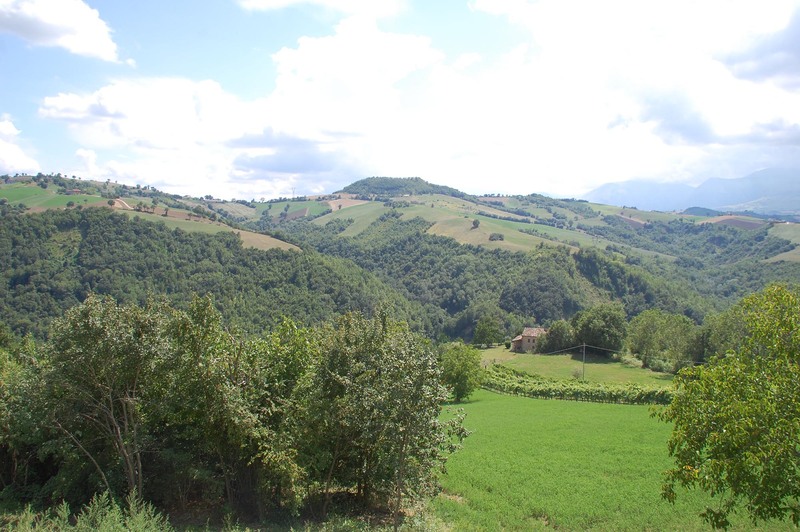 4.5 km away is the village of Penna San Giovanni with its local baker, butcher, grocer, bank, hairdresser and possibly the finest pizzeria in southern Le Marche. Yes, really.